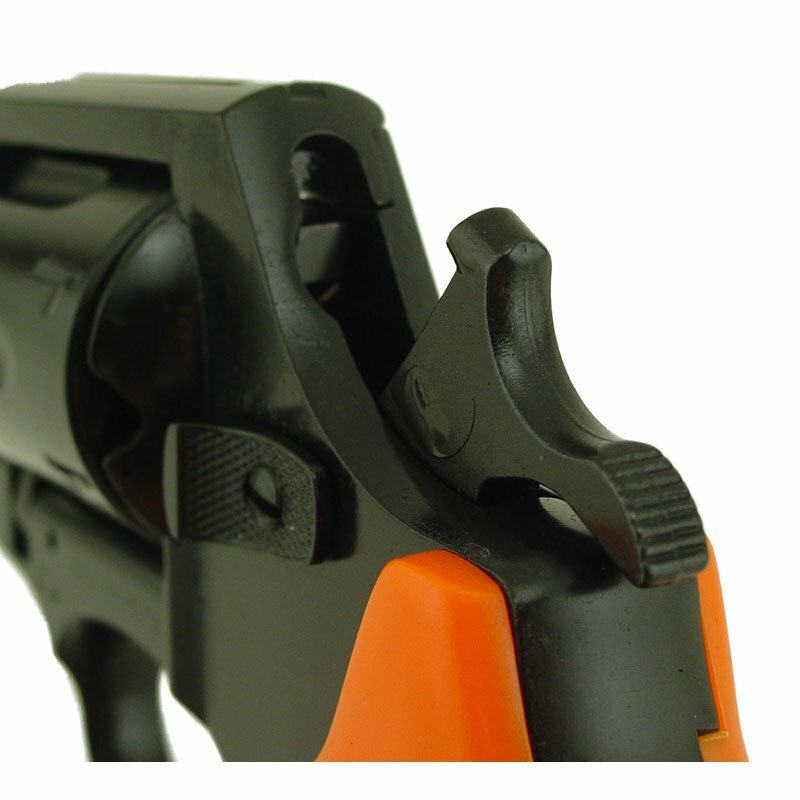 "Far better quality than any other blank pistols I have used in the past. I use it training Police and Protection Sport dogs, so it sees year round use." German Shepherd/Belgian Malinois. Family pet. Competes. Excellent quality and reliability. Far better quality than any other blank pistols I have used in the past. I use it training Police and Protection Sport dogs, so it sees year round use. I like the ability to use quieter crimps for younger dogs, and graduate to louder loads for more experienced dogs. I have purchased several products from Gun Dog Supply and have been very satisfied with quick delivery, and excellent quality. "Friends advised me to stay away from the very cheap pistols, and I'm so glad that I did!" I used this title for four legs of the AKC Junior Hunter title, and it and my dog did very well together. I never had a problem with the pistol. Friends advised me to stay away from the very cheap pistols, and I\\\'m so glad that I did! "This is very well built and durable." "Used last evening for the first time for a seven team indoor meet and it performed flawlessly for more than 50 cycles with black powder caps and no cleaning. I am pleased with what I am seeing so far." I am a Track and Field official and purchased three of these last summer for myself and other officials. Mine was used last evening for the first time for a seven team indoor meet and it performed flawlessly for more than 50 cycles with black powder caps and no cleaning. I am pleased with what I am seeing so far. "Very pleased with the Alfa .22 blank/starter training pistol." Very pleased with the Alfa .22 blank/starter training pistol. "Great Product, service and very fast shipping." French Brittany\'s. Hunts. Family pet. Competes. Great Product, service and very fast shipping. "Very high quality. Works perfectly. I would buy this again." Very high quality. Works perfectly. I would buy this again. "Great gun for training dogs"
Great gun for training dogs to get over the sound of gunfire. "Love this pistol. Very high quality." Love this pistol. Very high quality. Glad I bought and will probably buy another. No problems working with pistol since it arrived. Have put over 200 shots through it and haven't had a single problem with it. Highly recommend this model. "Have not used the pistol yet, but, if it is anything like my Alpha .32 cal it will be great." starter for track and field. Have not used the pistol yet, but, if it is anything like my Alpha .32 cal it will be great. "The Alfa is awesome for training dogs." The Alfa is awesome for training dogs. My older dog is a 3 year old female. She kept wanting to break on the shot last year. This will allow me to pop off several rounds, so I can simulate a hunting situation and stop her from breaking. I will also use it to train two of her pups when I start introducing them to the gun. "Should have went with it first." Costs a little more than some other brands, which I do own some, but well worth it. Should have went with it first. Use this as a starter pistol for Special Olympics. Great overall. Far better than the Viper.22. Easier to clean. Superior quality. Easy to load and unload and clean. Goes bang reliably!! "I work for one of the largest firearms manufacturers in the U.S. and I have to tell you I'm impressed. 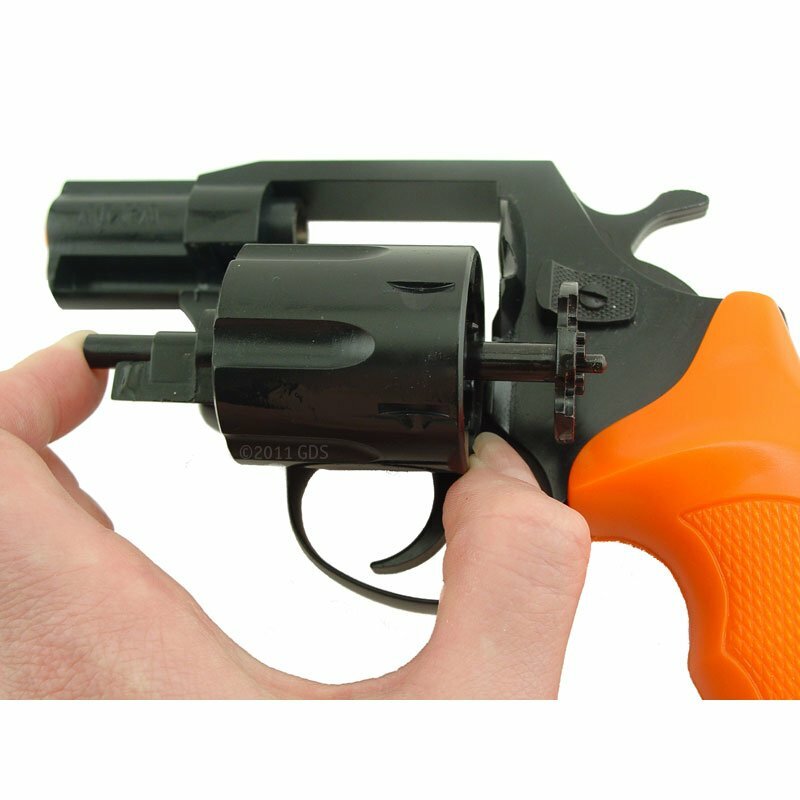 The fit and finish on this revolver are very nice." I work for one of the largest firearms manufacturers in the U.S. and I have to tell you I'm impressed. The fit and finish on this revolver are very nice. In fact the fit is so good on mine that the cylinder stop doesnt even leave a trace line on the cylinder. The gun has a nice heft to it and not only does it look like the real thing but it feels like the real thing. I especially like the both the lanyard ring and the bright orange grip, two very useful features. The grip is ergonomic, fills my hand and is very comfortable. The bright orange color is a huge plus in todays world by giving a visual indication that this 'may not' be the real deal. This is the new gold standard in blank firing revolvers and frankly leaves the very highly sought after H and R and NEF blank firing revolvers in the dust. The $200 price tag may seem a little pricey to some but this is one of those instances where you get what you pay for. In fact if you can even find a NEF or a HR in decent enough shape that you would want to own, try getting one for $200. To say that I'm pleased with this purchase would be an understatement! "I'm extremely pleased with the gun." I am a high school track and field official, I bought the Alpha because I heard one fired at a meet recently and most starters use a 22 caliber pistol from H and R which is no longer in business. The Alpha is much louder than the H and R. I'm extremely pleased with the gun. Thank you, Dennis Thibeault. "The starter gun is really easy to load and use just like a real revolver." The starter gun is really easy to load and use just like a real revolver. I like the color of the handle because it makes it easy to find in my bag or in the field. "Heavier than my other one." Heavier than my other one. 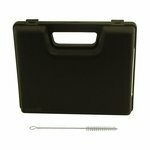 "This has to be the best in quality blank starter pistols for track and field." 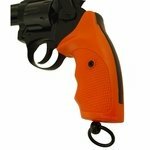 This has to be the best in quality blank starter pistols for track and field. The .22 pistols using #3 Ramsets is louder than the .32 gun. I will order the Alpha .32 within the next 4 weeks. Very good quality. Exactly what is needed for training. Very nice quality. GunDog Supply is an excellent company, fast shipment too! Highly recommend! "I would and have recommended it to all young track starters." It has worked with all the FAT that I have worked with. I would and have recommended it to all young track starters. I am glad I spoke to a representative as he steered me in the right direction. The gun is awesome. "Easy to load/unload. Came with a box of blanks and a cleaning brush." Arrived ready to go. I took it out of the box, read the instructions, loaded it and began using it with ducks to work with my dog. Easy to load/unload. Came with a box of blanks and a cleaning brush. Very loud. Best to use ear muffs. No problems ejecting empties. I tried a load meant for the dummy launcher. Won't do that again. High quality pistol. Easy to use and travels well. "Easy to load/unload and reliable performance." Liked: Easy to load/unload and reliable performance. "I use my Alfa 22 blank pistol to start indoor track meets. It works very well and is very loud. I have actually used it at outdoor track meets and it is louder than some 32 blank pistols I have used." I use my Alfa 22 blank pistol to start indoor track meets. It works very well and is very loud. I have actually used it at outdoor track meets and it is louder than some 32 blank pistols I have used. I am very pleased with this pistol.
" I feel the product is well worth the money." I got my alpha pistol a few days ago and love it. It's well built and looks like it will last. It's no toy. I chose the.22 so I could use different levels of sound for pups and older dogs. I was told it might jam with acorns but pointing it down it works perfect. I like all the orange on it for safety. I feel the product is well worth the money. "Make sure to sell blanks, dummy launcher blanks cause problems!" Make sure to sell blanks, dummy launcher blanks cause problems! English pointers and English Cocker Spaniels. Hunts. "I prefer the Alfa to our other pistols because it does not stick like the 209 shells do in the others." 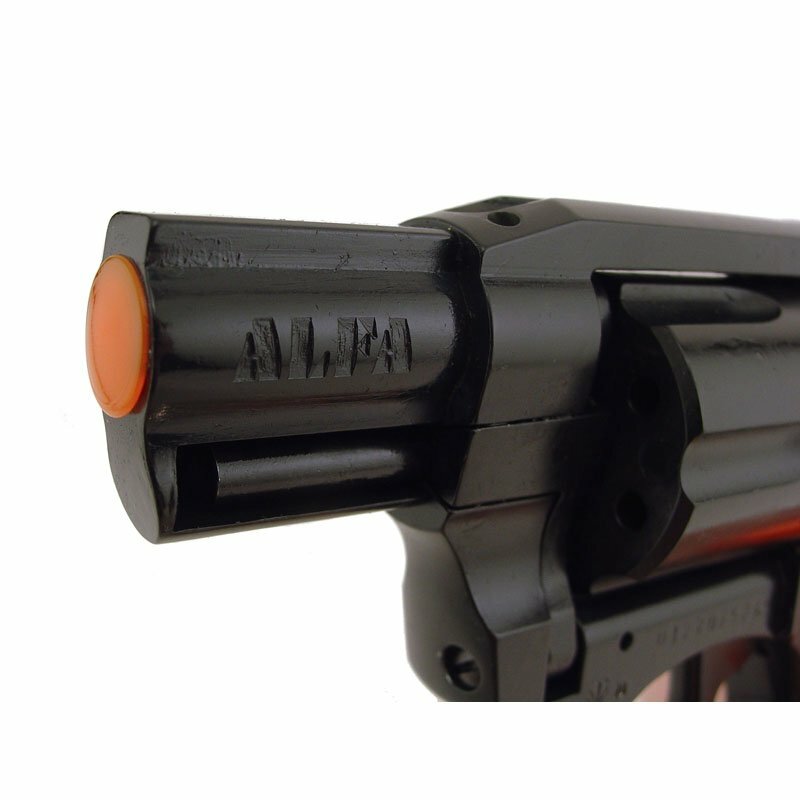 I prefer the Alfa to our other pistols because it does not stick like the 209 shells do in the others. It is my favorite! "This is a great gun for field trial/hunt test training use." This is a great gun for field trial/hunt test training use. It\'s light and user friendly. I would recomment it to anyone in the market for one. "So far the pistol is great." "I use this gun for starting track meets, and it is great." I use this gun for starting track meets, and it is great. Had a different one, and this is much better. "The crimped 22 acorn blanks are perfect for this weapon." The crimped 22 acorn blanks are perfect for this weapon. Pistol fits well in my hand and is loud enough for the training we do at 200+ yds from the line. Thank you! "All/Most of the Starters who have purchased a New or Replacement Pistol more recently have nothing else but." All/Most of the Starters who have purchased a New or Replacement Pistol more recently have nothing else but. And if they need anything, Ammo, etc that is available at least within the same price range. They would rather pay a little extra than settle or hope for good and timely service. Some have rarely had a problem issue with others. But nobody feels they are JUST OK with your service level. It's not expected as much as assumed. "By far the best on the market." The ejector sometimes leaves one shell when ejecting. I've used this gun to start several track meets some 350 shots. This gun is by far the best on the market. Had the chrome mode but it got stolen. Had to be repaired. Transfer bar is made out of pot metal. This one may not be but I have heard of these going back also. We will see. "I have used this product a lot -at least several times a week since it's purchase and have had no misfires." Flat-Coated Retriever. Family pet. Competes. I have used this product a lot -at least several times a week since it's purchase and have had no misfires. However it is very difficult to get the spent blanks out. I have to hit the cylinder with a bumper in order to get them out to reload. I am not the only one who experienced this difficulty. It is not as good as my old NEF ( I lost the cylinder ) but better than many out on the market. I'm a Starter for Track and Field races, and that's the primary use of my Alfa .22 caliber blank starter. I just put 150 blanks through it, July 16, 2016, and it worked flawlessly. I used BOTH, crimped and blank cartridges, and both worked great. One note, if you use 'crimps' you'll need to point the barrel down, or horizontal to the ground to prevent the crimps from moving. I gave it '4-Stars' because I've only used it once. However, after cleaning it, I don't expect any problems and look forward to using in the upcoming track seasons. "As long as I point it down or level, it works fine." 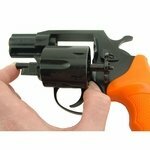 If I point the pistol up into the air, it sometimes doesn\'t want to fire because the blank cartridge slides back out of the cylinder and catches on the way to the firing position. As long as I point it down or level, it works fine. "the narrower bore end of the cylinder (which prevents use of true bullet rounds) tends to collect junk." I'm not using the gun for a dog (but I love the Corgi), using it as a track&field official for race starting. we use the 22 indoors, I also have a 32 (from you) for outdoor meets. for indoor meets with the 22, I may shoot up to 50 or so rounds over 2 to 3 hours. outdoor meets can be either the same or a lot less depending on how the meet is set up. we use black powder blanks as we need all of sound, flash, and smoke so that runners do not have to look at us while timers on the opposite end of a track can "see" a start without relying on sound, which can have a significant delay at those distances. both the 22 and 32 Alpha are excellent at that, especially due to the porting of blast and smoke out of the top of the barrel. meet participants have noted to me the better sound and flash/smoke of the Alpha compared to a different brand blank firing gun when used back to back in a meet. with black powder, the gun must be cleaned after about 50 rounds, sometimes more frequently. the usual problem is that the cylinder will not open or will not go back into position while reloading. the usual cause is junk from spent rounds either clogging the shell ejector or collecting at the bore end of the cylinder. the narrower bore end of the cylinder (which prevents use of true bullet rounds) tends to collect junk. 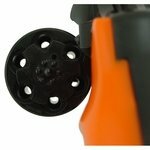 the extractor has tight enough tolerances that almost anything will impact its positioning. I typically carry at least a cleaning brush with me all the time. I have only used this one time, but it performed well. Had some trouble finding a holster. Trigger guard is oversized. It's a good thing for a glove hand but not a major problem either way. Ended up using a Judge holster. Report was much better than previous pistol. Outlet on top of the barrel works great, just need to be careful as flames do show. "Gun is fine, but I have 1 dog, and it keeps changing to 11." Gun is fine, but I have 1 dog, and it keeps changing to 11. "It is a little heavier than my old one, but works well." It is a little heavier than my old one, but works well. 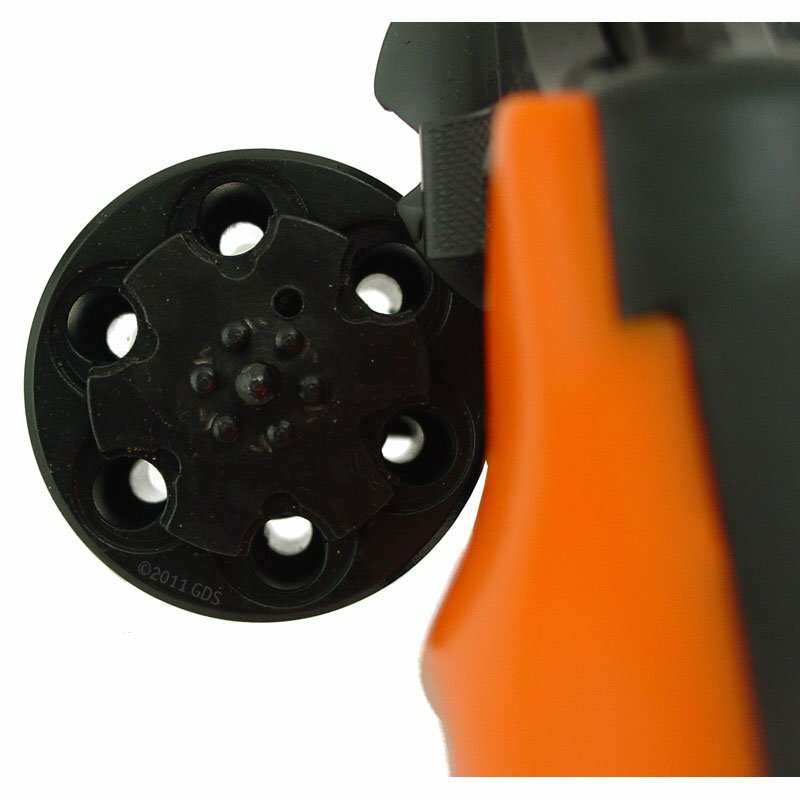 "Initially it has performed very well with the short crimps." Chesapeake Bay. Family pet. Competes. Initially it has performed very well with the short crimps. I need to use it more to try different loads to see how they work. "It's too popular of a gun to be bad." The gun is very stiff, probably because it is new. Two of the chambers were very tight loading blanks and real hard to eject. I cleaned, brushed, and oiled moving parts thoroughly and am expecting better results next time out. It's too popular of a gun to be bad. "Action is rough and cylinder release hard to operate." Not the quality of the older nickel plated Alpha .22 I had stolen. Action is rough and cylinder release hard to operate. It jammed from day one............ I returned it for a refund after two weeks and found an old NEF started pistol on line. 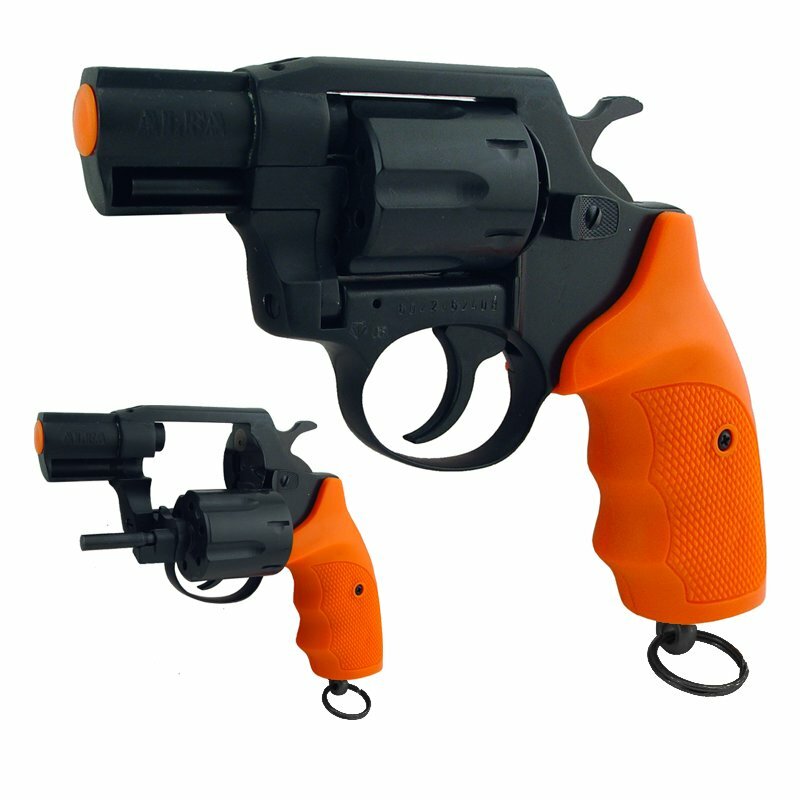 Rugged and reliable dual-action revolver. Superior Alfa manufacturing quality. The Alfa .22 caliber double action blank starter pistol is a rugged and reliably designed dual action revolver with superior manufacturing quality. Use and/or possession of Blank Pistols (Starter Pistols) and Blanks is prohibited and/or restricted in some jurisdictions. Laws change frequently. Therefore, all buyers should check with local authorities prior to ordering starter pistols, blank pistols, and/or blanks.